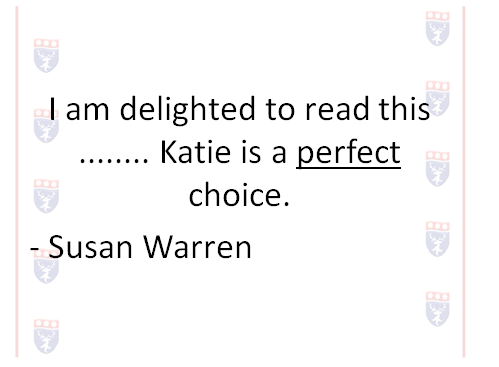 And she certainly wouldn’t be studying at Leeds University right now…. It’s a lovely piece . 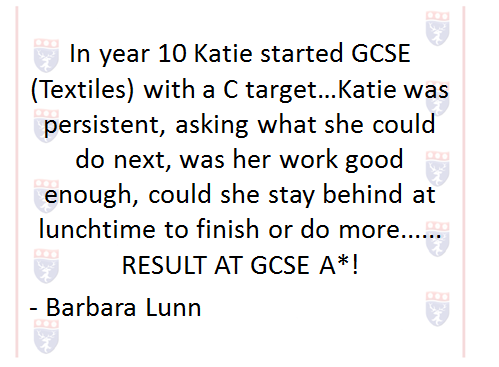 I guess we all have a Katie student – why don’t we have more ?? Did your teachers do anything specifically or was it down to the student ? She opened herself up to learn. She didn’t worry about getting it wrong – she just listened to advice and doubled her efforts. She is a model learner, but she also comes from a family where to try hard and to learn is the default approach to life; her younger brother represents England in Kenshinkan Karate. Hi John … But you knew this in your heart of hearts all along right? Dr Deming is now smiling down upon you. This goes to the heart of the ‘transparency’ thing…that levels/target grades should be shared with parents and students, and the whole world. It’s tosh. It’s tosh, because the levels and grades are meaningless……they don’t help students or parents. Both need to have the attitude that what’s needed is to work as hard as possible, and to persevere in that. 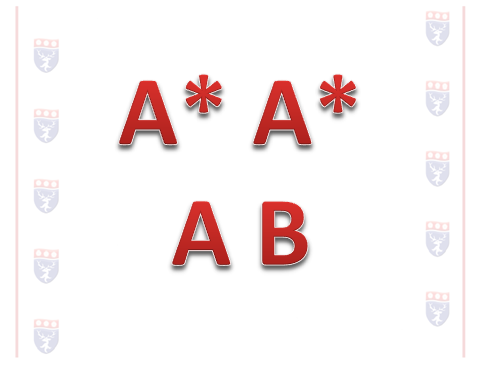 The levels and grades are for the edu-world….but, do they help teachers do a better job?? First- thank you for sharing Katie’s story. Less importantly- how did schools get into this state? I did my PGCE in the mid-noughties, and the Black Box studies were new and important. The message from them seemed to be that grades get in the way of learning, and the evidence seemed pretty compelling. Then, at some point, it became essential to put current and target grades on everything. And it was never really explained why… the change seemed to just happen. Great post. I think target grades are affecting one of my classes adversely. I’m at a junction with a ‘bottom’ set Yr 10 class. They have been branded the lowest set in their Year but I stay positive, call them my ‘top set’ yet despite all my ‘teach them the A grade material” I still see a kind of learned helplessness which affects their ability to accept that maybe they could effect change. I’m sorely tempted to remove grades for them. End of unit tests are usually graded and feedback given/acted on but I think I’ll just stick to feedback. See how it goes. And now it seems it has gone beyond not using targets as grades. This is now being interpretted by some as not explaining to children the difference between their work now and their work at the next level (whatever that might be in terms of grades, numbers or percentages). 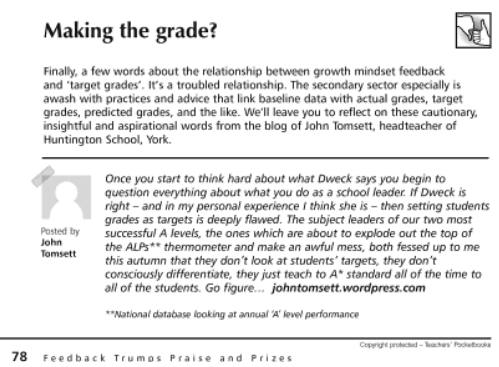 This week just gone I was debating with a teacher who having swallowed this “no grades as targets” story was trying to argue for never using the comment banks of child friendly targets that have served us so well. Her reasoning was that the headings (in the booklet teachers refer to) was by level. Why do we use targets? We use them so pupils are aware of their learning. They realise they are making progress and this motivates them to greater effort. We use them so that pupils understand how to improve their work. We use them to measure progress that often happens in small almost invisible steps. That for me is what we need to hold on to.